If Black Lives Matter Isn’t A Racist Hate Group, Then Can Someone Please Explain To Me Why I Keep Insisting They Are? 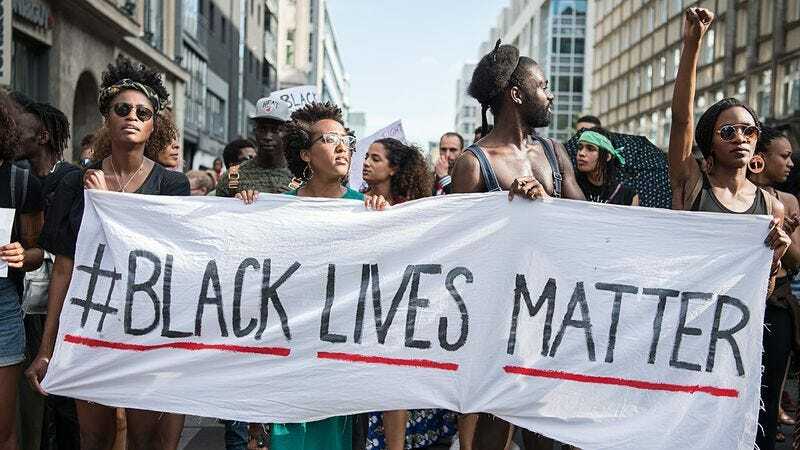 Ever since Black Lives Matter formed in 2013, its leaders have repeatedly tried to brand it as a peaceful organization. It purports to advocate equal treatment for African Americans, and to pursue this goal by nonviolent means. Well, I’m not so sure, and the reason is simple: if Black Lives Matter is anything but a racist hate group, then someone needs to explain why I keep insisting they are. I’m sorry if this question offends people, but if this so-called “movement” isn’t an angry, dangerous mob, then why do I keep saying it is? Let’s be real for a second. To believe that Black Lives matter is more than elevated bigotry, you’d have to conveniently ignore that I, on multiple occasions, have called it exactly that, word for word. I’m trying to understand what I’m missing here, but for every self-serving liberal “blog post” claiming that Black Lives Matter is peaceful, there’s another one written by me saying exactly the opposite. I really want to believe in BLM’s good intentions, but so far no one has been able to tell me why I repeatedly, vehemently denounce it. Look, I’ll make it as simple as I can. If Black Lives Matter is as righteous as the SJWs like to say, then how do you account for my continued and vocal and undeterred insistence to the contrary? To be clear, I understand that Black Lives Matter is a complicated issue, and that it is multidimensional. I just can’t get past how often I keep saying it’s a hate group. So someone, please, answer me: why? Why won’t I stop saying that? Until you can do that, I guess we’ll just have to agree to disagree.